I spent my holiday with my family last weekend and shot some really funny clips. But it got a little tricky to share the clips with my friends and upload them to my social page since the video clips are massive and disordered. Fortunately, I have resolved the problem by splicing the clips into a complete video. If you also shoot or record plenty of clips and want to organize them in a great way, you might as well follow the guide to learn about the steps of splicing videos together. 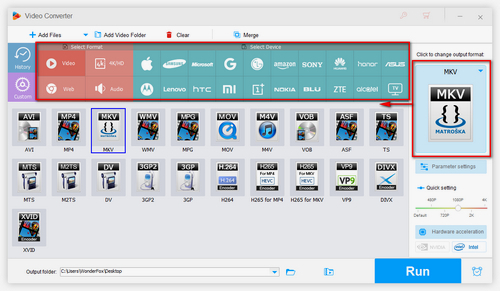 WonderFox HD Video Converter Factory Pro can splice multiple videos together and allows you to rearrange the order of each clip with ease. Besides being a video splicer, it can also cut, crop, rotate, flip and add special effect as well as subtitles to videos easily. 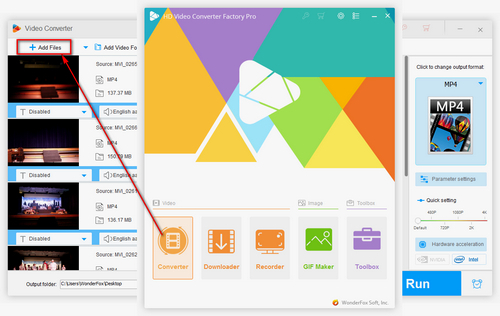 WonderFox HD Video Converter Factory Pro is a versatile tool that can splice many videos together and create a new video, which only needs several simple clicks away. Its built-in simple editor can help you achieve more other basic video editing tasks. In addition to the video editing feature, it can also convert videos to 300+ digital formats, download videos from websites, and offers the optimized format presets for YouTube, Facebook, Vimeo, Yahoo, Myspace, etc. The whole process of video splicing is easy and intuitive. 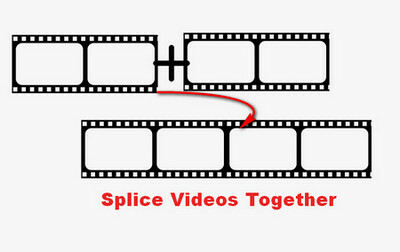 The following part shows you how to splice videos together. Press the Add Files button on the top left corner, select video clips from your computer, or directly drag and drop multiple files into the software. It allows you to import videos in different formats and splice them to make a new video. Click on the Merge button, and the Merge Window will pop up. All the clips you import into the software will be added into the Original column. 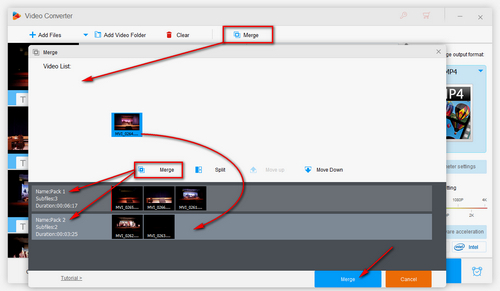 Press the Merge button in this window to create pack 1, and drag and drop the video clips from the Original column into the pack to create a new video. You can arrange the order of the videos by drag-and-drop, as well. After you splice all the videos together, click on Ok to save the changes. Tips. You can also merge multiple videos into more than one video. To do this, click on Merge to create Pack 2, Pack 3, and even pack 4, and drag the clips you want to splice together to the corresponding pack. Moreover, it can merge audio files. Click on the Output Format button on the right of the main interface, and choose the needed output format. Over 300 digital formats and devices are supported. If you want to play a recorded video on your mobile phone, you can convert the video to a common video format, such as MTS to MP4. Or if you want to upload the video to YouTube or other websites, just select the website icon under the Web tab. As you can see from the picture, WonderFox HD Video Converter Factory Pro has spliced videos together. Click on the yellow folder icon on the bottom to choose an output folder. Finally, click on the Run button to export the file. The fast video converter supports batch conversion mode and can speed up the conversion dramatically. Mergevideo.online is a good free video joiner that enables you to splice videos together without installing plug-ins. Its interface is concise, neat and has no pop-up and ad. Step 2. Click on the Choose Files button, select video files from your computer, or add files from Dropbox, Google Drive or URL. The upload speed is affected by the video file sizes and network condition. And the maximum upload file size is 300MB. Step 3. 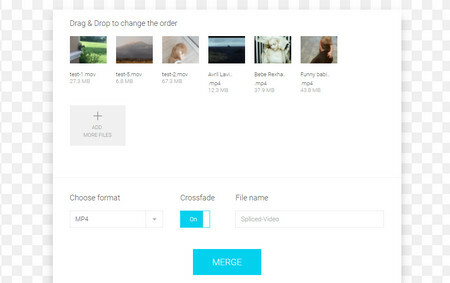 After the upload process is complete, you can drag and drop each video to change the order. Open the Choose format drop-down list to select an output format, and fill in the output file name. It also allows you to add the Crossfade effect. Step 4. Finally, click on Merge for video splicing. The article has given you the methods for splicing videos with an online video splicer and the outstanding video splicing software –WonderFox HD Video Converter Factory Pro. 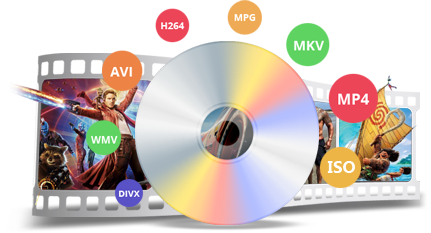 Since WonderFox HD Video Converter Factory Pro doesn’t have any file size and number limit and can import and splice multiple files in an instant, which greatly overrides websites, it’s obviously the best option. Want to splice the VOB files from a DVD disc and DVD folder? The professional DVD ripper can help you to rip VOB files from DVD disc, DVD folder and ISO image, and splice them into a whole movie. It’s lighting-fast and straightforward.